AAPGAI Jim Curry is off to fish Las Buitreras in Argentina, and the ladies are fishing too. This incredibly diverse country has long been a Mecca for fly fishers. From the giant sea trout of the Rio Gallegos and Rio Grande rivers to the hard hitting Dorado of the Ibera Marshlands in the North. This stunning country offers the travelling angler the complete angling adventure, with breathtaking fishing, scenery and lodges which are amongst the finest in the world today. 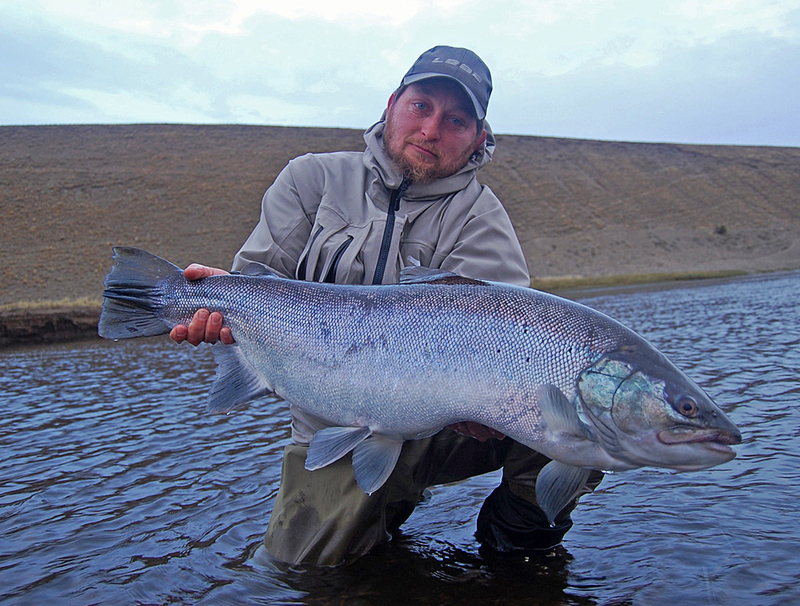 The wilderness of Patagonia is still the number one spot in the world to catch large sea trout. Every avid fisherman, from novice to expert, will be challenged to test the skills necessary to fly fish these cold, crystal-clear rivers, lakes, and streams for rainbow trout, brown trout and sea-run brown trout. Discovering new fly fishing techniques and experiencing a new level to this rewarding and challenging sport. This year I’m taking a group of talented ladies from Yorkshire who have for the last few months been brushing up their double handed skills; they also have had a lesson on the single handed rods and in no time were catching fish on small dries. 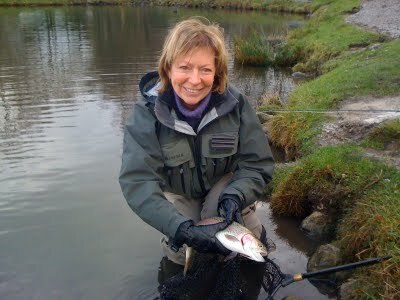 The fishing is both varied and exciting with some large pools, stony runs and cut bank pools. The wading is very easy on gravel with no need for any special footwear. One guide per two anglers always on hand to advise on tactics and techniques to suit the different conditions and to transport anglers between pools in four wheel drive trucks. After a 3 hour lunch back at the lodge including siesta. Fishing commences again around 4.00pm. Beats are rotated, there is over 40km of fishing with 50 named pools enjoyed by only 8 rods. The sport then continues through until dusk when the winds drop usually and the fish activity increases. One of the great added attractions of these fish is that they’re caught in the day using nymphs, salmon hair wing flies, rubber legs, dry flies or in higher water tube flies. Afterwards, exhilarated, you return to the lodge for a well earned glass of red wine and a delicious evening meal, chatting and re living the days fishing. The 2010 fishing season has been going very well and an increasing number of larger fish are entering the river now. 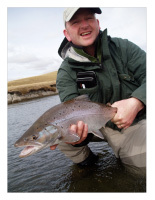 The chairman of aapgai Illtyd Griffiths is hosting a fishing party to Argentina 27th – 6th March. We hope to meet up to compare catch notes, fishing techniques and to steal some of Paul Littles handmade flies.